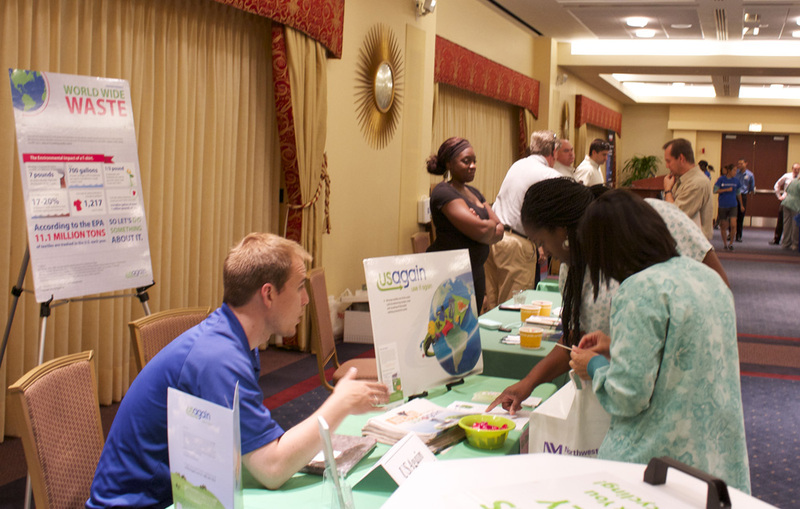 USAgain held a clothing drive to support the Lynn Sage Breast Cancer Research Foundation at Northwestern Memorial Hospital’s Get Green fair. 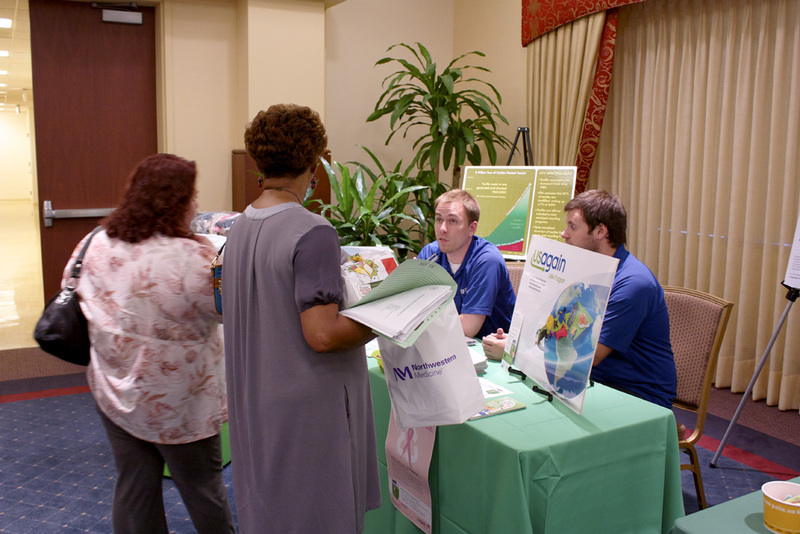 The fair was an employee event for hospital staff to connect with green businesses and organizations in the Chicago area. The event was a win-win, as clothing was collected for a great cause and the message of increasing recycling was spread to NWMH staff. 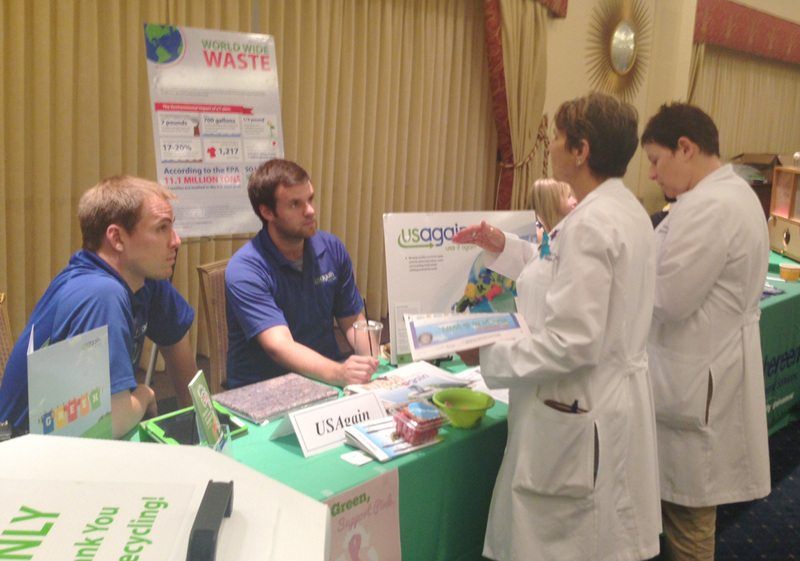 USAgain looks forward to the possibility of future recycling events in partnership with the hospital. 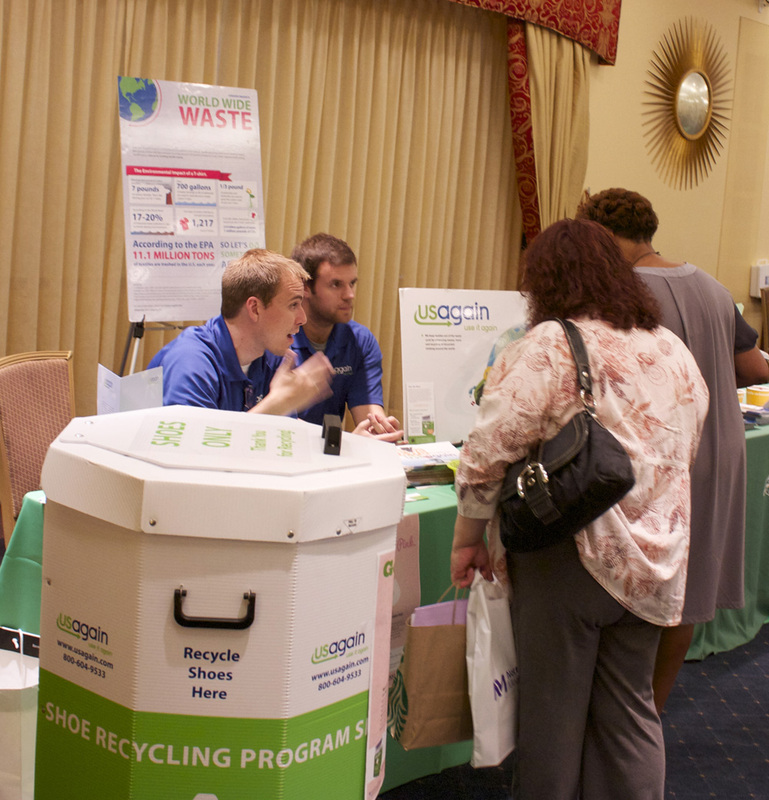 Thanks to all who attended and did good for people and planet by recycling clothes to support breast cancer research. A Cornell study shows it takes 14 units of fossil fuel to produce a serving of turkey. If you're planning to have turkey, try to make it a little greener by purchasing it from a local market or farm. If the turkey is traveling a long distance to get to your table, that's adding to your carbon footprint. Best option -- skip the turkey! 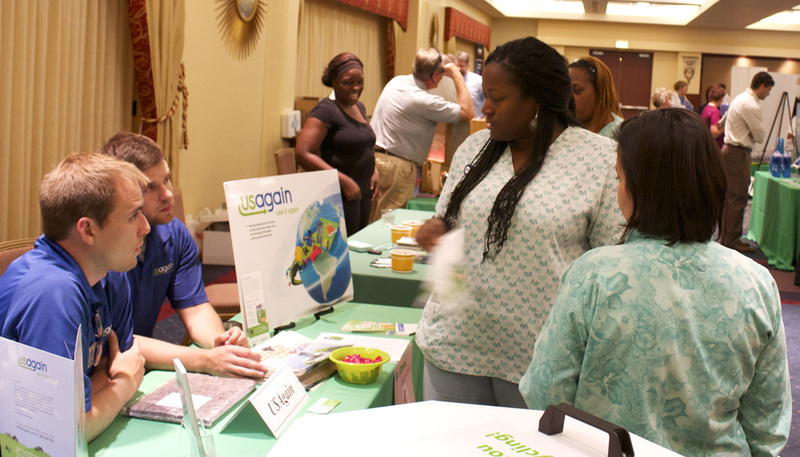 USAgain collects clothes, shoes and household textiles for reuse and recycling. For a full list items accepted in our bins, click here. COPYRIGHT © 2015. USAGAIN CHICAGO. ALL RIGHTS RESERVED.